Shah Rukh Khan To Play The Lead In Rakesh Sharma's Biopic After Aamir Khan Walks Out? Shah Rukh Khan To Play The Lead In Rakesh Sharma’s Biopic After Aamir Khan Walks Out? Earlier, Aamir Khan was supposed to work in Rakesh Sharma's biopic, which will now be reportedly done by Shah Rukh Khan! 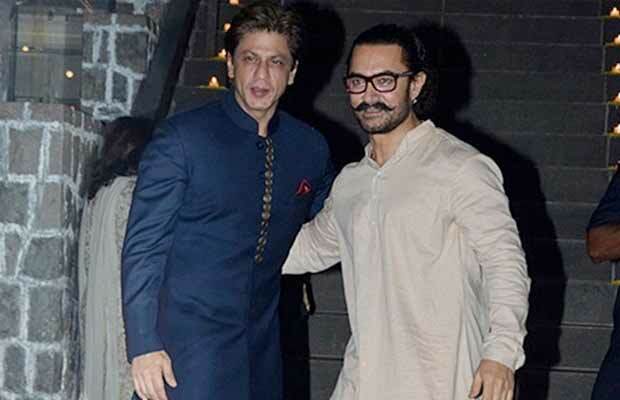 Earlier, Aamir Khan was supposed to work in Rakesh Sharma’s biopic, which will now be reportedly done by Shah Rukh Khan! All of us know that it was Mr Perfectionist Aamir Khan who was going to play the lead in Rakesh Sharma‘s biopic. But we also know that the actor is no more a part of the project. It was recently when he walked out of the film. And now it seems that the superstar Shah Rukh Khan will be playing the role. The film is based on the life of the astronaut Rakesh Sharma, the first Indian to land on moon. Priyanka Chopra and Ranveer Singh were also approached for roles in Rakesh Sharma’s biopic. But there has been no confirmation from either side. The film will be produced by Sidharth Roy Kapur and will be directed by Mahesh Mathai. Talking about the professional fronts of the actor, Aamir Khan is currently shooting for the film Thugs Of Hindostan. It also stars Amitabh Bachchan, Katrina Kaif and Fatima Sana Shaikh in pivotal roles. On the other hand, Shah Rukh Khan is going to be seen in Aanand L Rai’s next untitled project. The film also stars Anushka Sharma and Katrina Kaif.